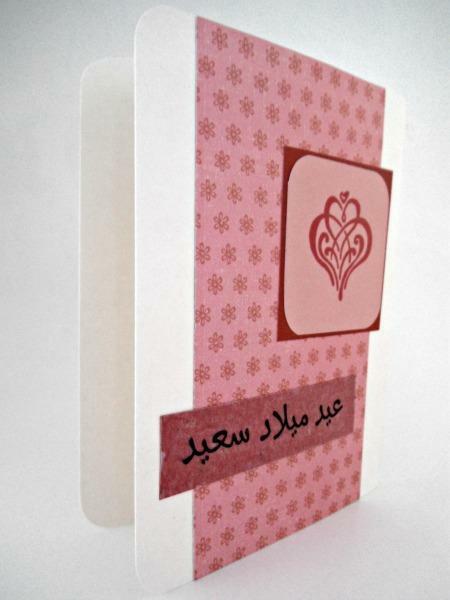 This Arabic intertwined hearts birthday card is sure to brighten up anyone's happy day. 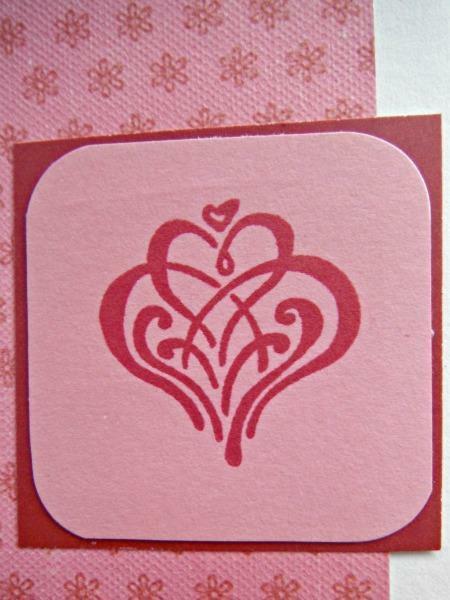 The stamped intertwined hearts stamp has been placed on mat board to make it look like it is floating off the pink flower background paper. 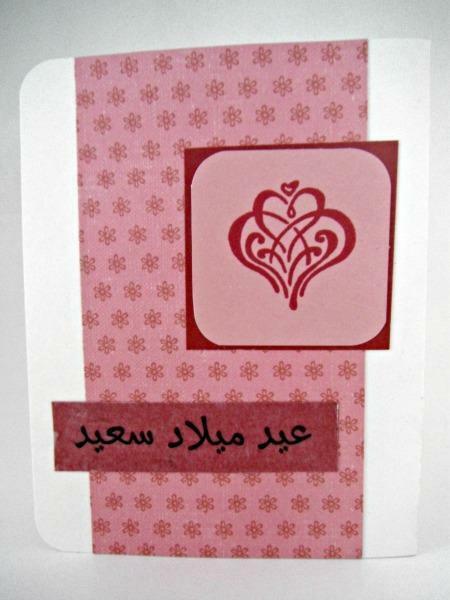 The words "Eid Milad Sa'id" have been printed on vellum and added to red cardstock. 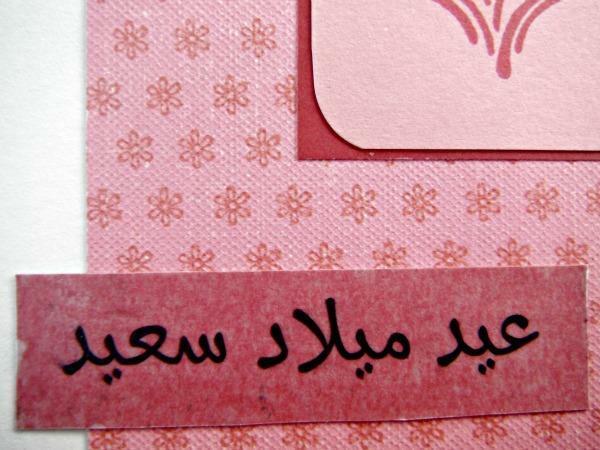 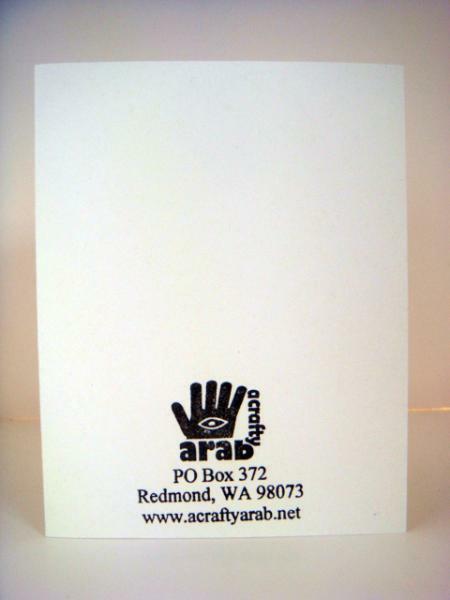 Since this is an Arabic card, it opens left to right.